Colonial DPP manufactures a variety of die cut rubber seals and gaskets, with and without adhesive backing. Our extensive lab and formulating capabilities enable Colonial to design and compound materials to meet a vast range of physical properties including resistance to chemicals, weather and temperature. 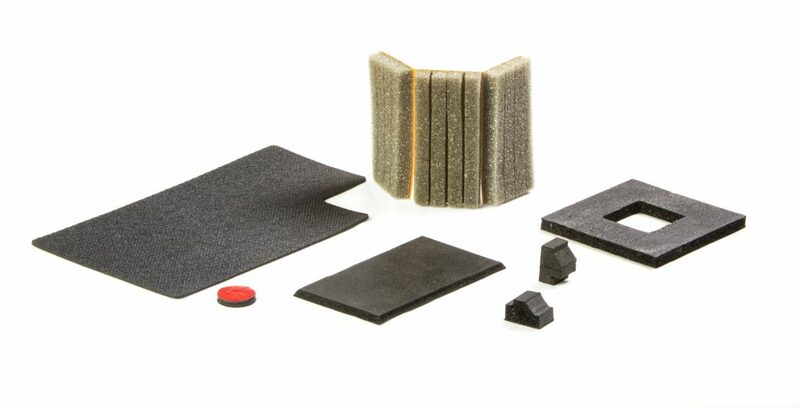 On-site and with strategic partners; materials include but are not limited to: Dense Rubber and Cellular, Foam, Sponge Rubber; Open and Closed Cell; EPDM, Neoprene, Nitrile; SBR; Polyurethane Foams and more. Colonial DPP, LLC is one of North America’s more diverse rubber suppliers due to its superior quality, on time delivery, competitive pricing and dedicated associates. Colonial Diversified Polymer Products, LLC | © 2017, All rights reserved. Website Development by Twin Oaks Technology, LLC.